Book Name: He had no money, fame or women in his chart. How could Igor Stravinsky ever have any achievement? Igor Stravinsky was rated by music historians as one of the most influential figures in modern music. But he was not the founder of the new forms of music such as neo-classicism, serialism or atonal music. By the time of his death in April 1971, his influence was widespread in many areas of music. His birth chart showed no promise of money, fame or women. He married young and had a long lasting affair with his mistress. After the death of his first wife, he married his mistress. His fame came during his lifetime and not after his death, unlike some other composers. The fame brought him some money but he was not wealthy. How did he ever manage to have any achievement despite such a birth chart? Igor Stravinsky was born on 17 June 1882 (Russian old style, 5 June 1882) to Feodor Ignatievich and Anna Kholodovsky. His father was a bass singer at the opera. He had three elder brothers, Roman, Youry and Goury. His father had a law degree at Kiev and was a bass singer at the opera. He had a large library of books and opera scores. Stravinsky was thus exposed to books and music from an early age. It seemed that he might be a pianist one day. But his father wanted him to study law. In 1895, he fell ill with pleurisy and tuberculosis. In 1900, at the age of 18, he studied counterpoint by himself. In 1901, he enrolled in St Petersburg University to study law. His father died in December 1902. After his father’s death, he ended his law studies and chose music instead. In 1902, he was taught orchestration by Rimsky-Korsakoff. Between 1896 and 1900 he and his brother Goury spent the summers at the village of Oustilug. Gabriel Nossenko and his wife, Maria, who was the sister of Stravinsky’s mother, stayed here with their daughters, Ludmilla and Catherine. Stravinsky had initially met Catherine in 1891 and they married in January 1906.He was then aged 24. A son, Theodore, was born in 1907 followed by a daughter, Ludmilla, in 1908. Another son, Soulima, was born in September 1910. Their last child, a daughter, Maria Milena, was born in February 1914. In 1909, Serge Diaghilev formed his new ballet company called the Ballet Russes. He had heard two orchestral works by Stravinsky, theScherzo Fantastique and Fireworks. He was sufficiently impressed to commission Stravinsky to write a new ballet, eventually called The Firebird. It was first performed in June 1910 and made Stravinsky famous. But he did not want to repeat its success. So he wrote another orchestral work called Petrushka in 1909. He was persuaded by Diaghilev to turn it into a ballet with Vaslav Nijinsky in the main role. It was first performed in June 1911. He was ill with nicotine poisoning this year. In 1912, he met Arnold Schoenberg in Berlin. In 1913, he started scoring another ballet, The Rite of Spring. But he contracted typhoid during this year. He settled down at Clarens in Switzerland. In 1916, he was sick with neuralgia. 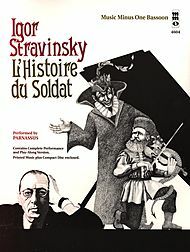 In 1917, he began work on Histoire du Soldat (The Soldier’s Tale). Due to wartime exigencies, his works during this period had to be written for small ensembles. This piece was scored for seven actors-dancers and seven incongruous instruments. The October revolution in 1917 meant that he lost his property and income in Russia. His brother, Goury, was killed on the Rumanian front. In 1920, he left Switzerland and moved to France. His ballet, Pulcinella was first performed in May, 1920 in Paris. In 1921, he met Vera de Bosset with whom he had a long standing affair. But he did not divorce his wife to marry Vera. In 1922, his mother emigrated from Russia. In 1924, he made his debut as a pianist by performing his Piano Concerto. He settled down at Nice. His children were ill with diphtheria. In 1924, he commenced his tour of Europe and the US. In 1933, when Hitler began his rise to power, Stravinsky left Germany and became a French citizen in 1934. In November 1938, his daughter, Ludmilla, died. In March 1939, his wife Catherine died. In June 1939, his mother died. He was ill for five months. When the Second World War broke out in September 1939, he was in America. His works can be roughly classified into three periods. The Russian period lasted from about 1908 to 1911. From about 1920 to 1954, he was in his Neo classical period. Then he made a fresh start from 1954 to 1968 which was his Serial period. In all these periods, he was not the leader of any musical style such as atonality or serialism. He was a follower of musical trends. He studied the musical styles and composed in that style. Serialism or twelve note music was founded by Arnold Schoenberg. The leading practitioners of this style were his pupils, Anton Webern and Alban Berg. 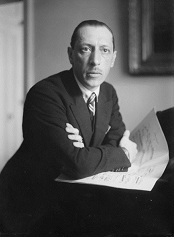 Initially, Stravinsky found it difficult to compose music in a serial style. In March 1940, at the age of 58, he finally married his mistress, Vera de Bosset. He settled down in Los Angeles. He became an American citizen in December 1945. In March 1948, at the age of 66, he met Robert Craft. He began work on his opera, The Rake’s Progress. In 1952, he studied serialism and Webern’s music. In January 1954, his Septet was first performed at the Dumbarton Oaks concert. In 1956, he suffered a stroke. 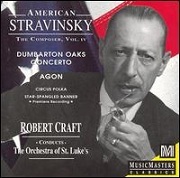 In 1959, he published his first book of Conversations with Stravinsky with Robert Craft. In August 1967, he was admitted to hospital. He was then aged 85. He would be dogged by illness until his death in April 1971.